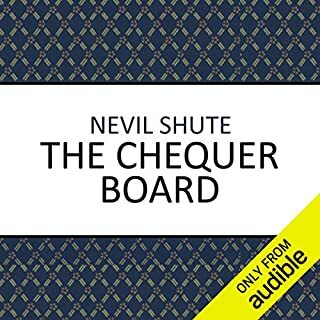 Would you listen to The Chequer Board again? Why? I had read the book in print years ago, and was moved by it then. I found it even more moving in Audio. yes, I would listen to it again. What was one of the most memorable moments of The Chequer Board? The moment when he tells his wife, normally a remote person, that he does not have long to live and the way she shows her compassion towards him. I love the restrained portrayal of the hero and his wife. What does Paul Panting bring to the story that you wouldn’t experience if you just read the book? He reads it in a way that fully encompasses and is sympathetic to the period in which the book was set. I had read only one other Nevile Shute book, ' Town Like Alice', before this one. Now I will definitely listen to others, as they lend themselves so well to Audiobooks.